To get back from Santa Barbara, I got a rental car and drove back to San Francisco (one friend I went with had to drop her car off in LA and the other was spending the weekend with a friend in Pasadena). It’s a decently long drive between the two (5-6 hours ish) so I decided to take a little break at the Gilroy Premium Outlets to get petrol and stretch my legs. Of course in the process I got a bit distracted by some of the shops and ended up having a quick scout around J Crew (didn’t find anything) and then my old standby, Forever 21. As much as I love the bargains you can find in shops like F21, I have to confess I don’t have much shopping stamina and lose patience rapidly when shops are busy and/or messy! Not ideal when it comes to bargain hunting… So this F21 was perfect as I was there on a Friday afternoon, it was quiet and neat! Hurray. 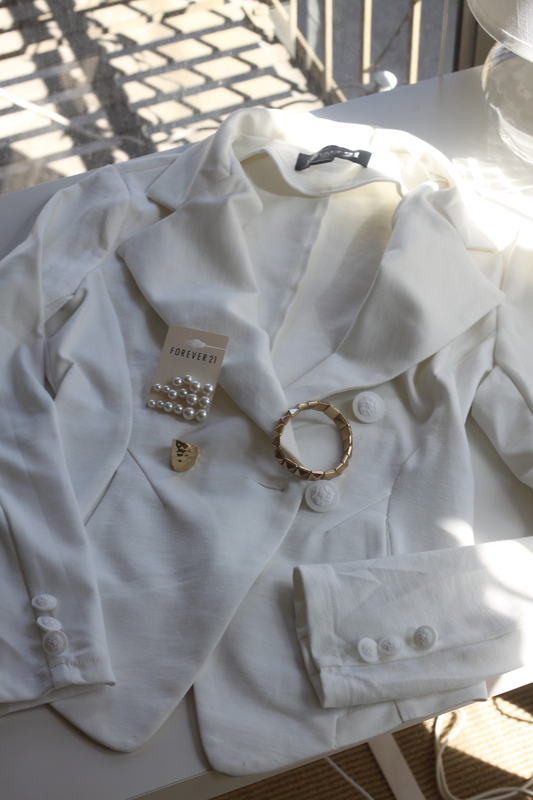 A white blazer, as per my quest! I was hoping for one in a slightly smarter material, but I like the cut of this one and as it was only $27.80 I thought it would be silly not to buy it… And SF has even been obliging and provided me with lots of occasions to wear it in lovely sunny weather. Then a pack of fake pearl earrings, as I’ve lost one earring from two sets of real pearl earrings this year, vexing. A stretchy gold bracelet that I’ve been wearing on the same wrist as my Michael Kors watch, and finally a hammered ‘gold’ ring. I was pretty excited about the ring as I have tiny tiny hands, which makes finding good costume jewellery next to impossible. All the fun cocktail rings are generally far too big on me, but I can even wear this one on my ring finger it’s that small (usually if I find one, it needs to go on my index finger for it to not fall off). Bargainous Buys :. Shopping Finds! I have to say, I’m not usually much of a sale shopper. I have an aunt who finds this a perennial disappointment (she is AWESOME at sale shopping) but I have neither the stamina nor the inclination to go rummaging around in horribly messy displays, where inevitably the item you want is not in your size. I have literally been bribed around the sales by a friend of mine in the past, who promised to buy me cake after a certain number of shops were visited. I like my stores to look pleasantly laid out and offer a selection of items in my size 🙂 Perhaps it’s my measurements – I’m an 8 in shoes (6 in the UK) and a 4 in clothes (8 in the UK), so these sizes always seem to sell out fastest in all sorts of stores. Boo. However I went bargain hunting with a friend of mine last week and actually had a remarkably successful day by my general shopping standards! We went on the morning of the 4th and whilst I was expecting downtown to be a zoo, it was actually fine. We skedaddled by about 2 but it was totally okay until then. 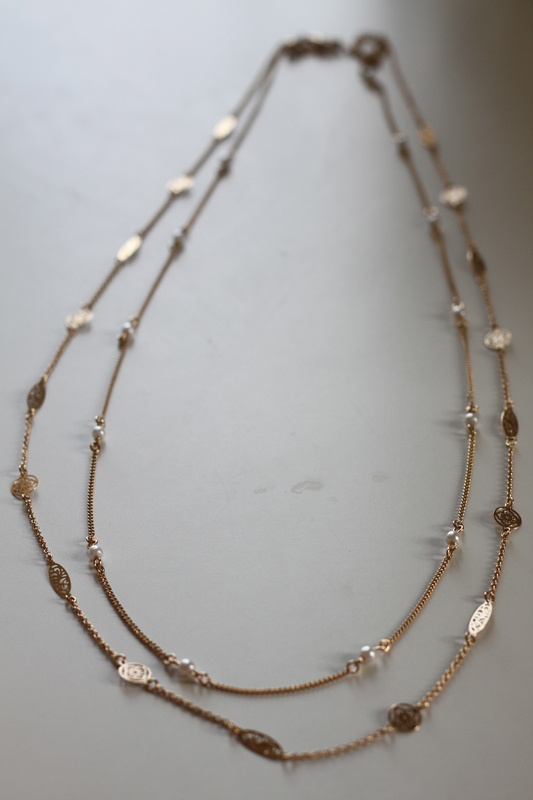 First up, my Forever 21 steals…. We don’t have this chain at home, there’s an even cheaper one called Primark that’s something similar. I find with shops like this it’s entirely dependent on luck… Some days there’s good stuff, other days it’s just trash. 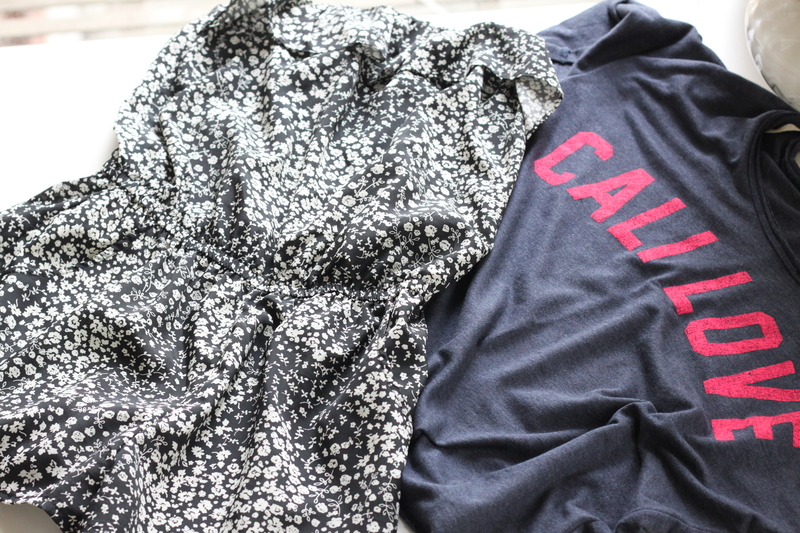 But I found this ‘Cali Love’ shirt for around $16 and this cute little romper for about $20. My friend made me buy the romper, I was a bit concerned about how short it is (I’m 5’8” so it looks pretty teeny on) but I’m glad I got it… Super comfy plus it has pockets! The tee is cropped and baggy, I wore it on the 4th with denim cutoffs. Showing the love for my adopted home state! Next stop was Old Navy where I was looking for some casual dresses…. Didn’t find any of those I liked but did find a cute pair of sandals and a pair of grey ballet flats, both for around $20. THEN I found out that it was buy one get one free so I got the sandals in another colour too… AND they’re comfy. Total score, 3 pairs of shoes for $40! Those sandals have proved to be exceedingly useful following my Yosemite toe episode (kicked a rock whilst wearing flip flops on the way to go rock climbing. Wouldn’t recommend it.) Closed toe shoes were mega uncomfy so having some cute sandals to wear was very helpful! Thankfully the toe is much better now and I even ran a little bit the other day… Yay!